Clean-cut & traditional. Long enough to tuck in. Tailored & trim. Go ahead & leave it untucked! 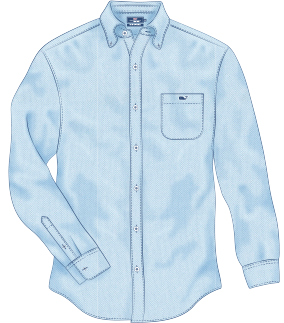 Our button downs come in different fits and fabrics, with performance features like quick-drying and stretch, and so many different colors and patterns. Boardroom, boat or beach—we’ve got a button-down for every style and situation. Made with high quality fabrics and offered in a variety of fits (from slim-fit to big and tall), our men’s button downs provide a stylish, comfortable option for everyone. Whether you prefer button ups or button downs, our dress shirts come in simple, classic styles as well as fun, colorful prints and patterns that can be worn for any occasion. 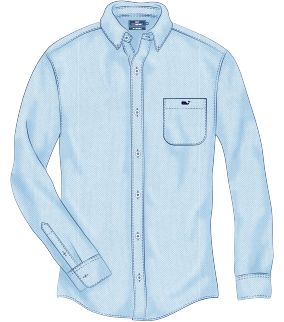 Wear our casual, linen short-sleeve shirt in those warmer months when you’re out on the boat or at the beach. 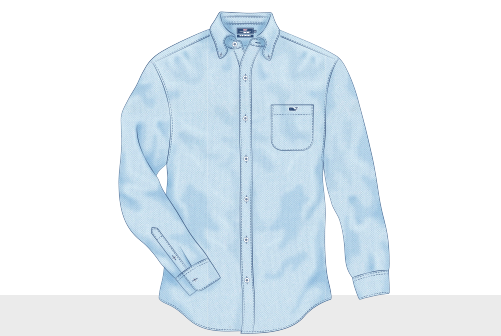 Our classic cotton or performance long-sleeves work for days at the office or weekends at the country club. 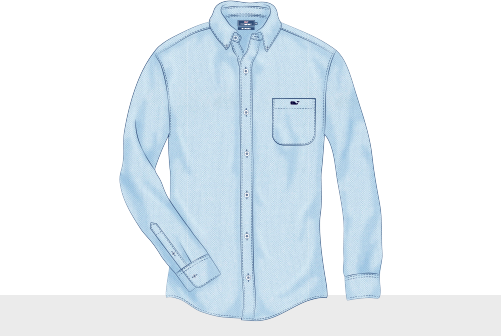 Worn either tucked or untucked, our men’s shirts are the perfect addition to your everyday look. Layer it under a pullover or sweater for those cooler nights or pair with our favorite men's pants or shorts.